A relatively unknown animated feature from Ireland rocketed into the limelight with an academy award nomination for best animated feature. Although ultimately losing out to Pixar’s “Up”, it is the author’s opinion that this film should have won that particular award. All the elements of plot, visuals, music, and character development come together in this brilliantly complete movie experience. Aspiring film makers should take note because this isn’t just a wonderful example of an animated film, but a brilliant film full stop. It is an exemplary example of what a film should be, and that is a vehicle to tell a story. The story is about a book – the Book of Kells, which is considered an Irish national treasure. Set in the 800s against the backdrop of viking raids it follows the story of a young monk in the abbey of Kells where his uncle, the abbot, is coordinating the building of a very large wall around the town to defend from the vikings. During the course of the story, Kells is visited by brother Aidan, a master illuminator who is part-way through his book, the book of Iona, named for the island he previously fled after it was overrun by vikings. The young monk takes an interest in illustration and the book, and in the process must journey into the forest where he encounters fear as well as a helpful spirit. The film is paced well from start to finish, and the characters (with their lovely irish accents) captivate the audience’s interest from the get-go. The real crowning glory of this film however, is the visual style. 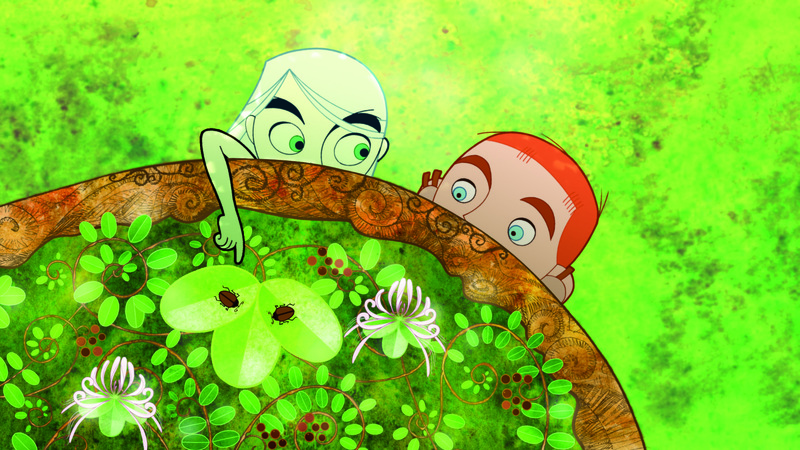 The animation is hand-drawn rather than computer generated, and reflects the desire of the film makers for life to imitate art (or art to imitate art) for one of the features of the book of Kells itself is it’s arresting illustrations and unique visual style. 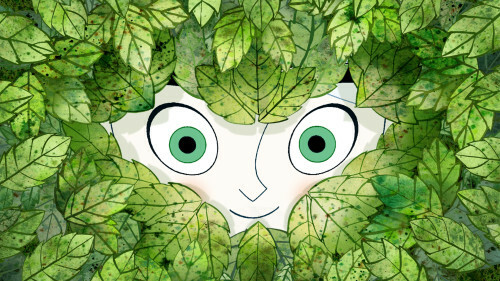 As such, every frame of this film is a wonder to behold as it very well reflects the visual style of the book of Kells, all the way down to the finest details and motifs. The unique visual experience immerses the audience in the universe of the film and suspends disbelief far better than most films of recent memory. It is a great pity that this film did not receive a very wide cinematic release, but such is the plight of very small studios. It certainly deserves a wider release as it is entertaining in a way that even a small child can understand, yet does not fall into the trap of dumbing-down the content in order that it may be more easily classified as a “kids movie” (although the promotional material does seem aimed that way). A number of smaller cinemas are still playing it in the US. With any luck, the added publicity that an academy award nomination brings will ensure that it gets a good DVD release, but until then, there’s always the internet. Watch this film! It’s only 75 minutes of your life, and you’ll love it. I think Tomm Moore is working in the tradition of Irish folktales, which have often blended stories of saints and fairies. My opinion is that the fairy elements in the story work well given the context, and it is the Catholic faith that has the last word. I saw the film and I enjoyed it. It’s nice to see studios around the world doing material that introduces us to THEIR culture and THEIR outlook, rather than just trying to imitate the same old Hollywood product.